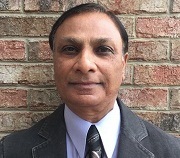 Jimmy Patel has decades of experience in the commercial and residential real estate industry. He has been a licensed broker since 1983, and has developed expertise through his investments in and management of numerous commercial and residential properties across North Carolina and Tennessee. In particular, Jimmy has strong capabilities in managing complex financing matters, including a variety of commercial loan structures. He has the knowledge and experience to help clients navigate the range of complicated issues that can accompany real estate closings, and has decades of experience as a landlord in both commercial and residential contexts. Jimmy has lived in Charlotte for over 37 years, during which time he has acquired deep knowledge of the local market and its development, and has developed strong relationships with key individuals in the Charlotte real estate and lending industry. Jimmy has also been a practicing pharmacist for over 38 years. Through his extensive experience, skills, and network, Jimmy is uniquely capable of helping clients achieve the best outcome in their real estate pursuits. He can be reached at 704-649-1021 or jimmy@aspectbrokers.biz. © Copyright 2014 by Aspect Realty & Associates, Inc. All rights reserved. Aspect Realty & Associates, Inc. 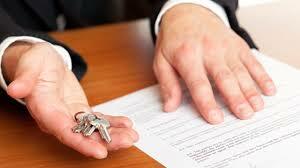 Aspect Realty & Associates, Inc. controls and operates this Site from its offices within the United States. Claims relating to, including the use of, this Site and the materials contained herein are governed by the laws of the United States and the State of North Carolina. If you do not agree, please do not use this Site. If you choose to access this Site from another location, you do so on your own initiative and are responsible for compliance with applicable local laws. The information contained in this Site including all images, illustrations, designs, photographs, videoclips, writings and other materials that appear herein are the intellectual property owned, controlled, or licensed (all of which, collectively, are herein referred to as the "Contents") by Aspect Realty & Associates, Inc. or are the property of their respective owners. Using this Site as a shopping resource, provided you do not modify the Site and that you retain all copyright and other proprietary notices contained in the Contents. Except in connection with shopping or placing an order, none of the Contents may be copied, reproduced, distributed, republished, downloaded, displayed, posted electronically or mechanically, transmitted, recorded, in any manner mirrored, photocopied, or reproduced without the prior written permission of Aspect Realty & Associates, Inc. or the applicable copyright owner. Please note that the permission granted herein terminates automatically if you breach any of these Site terms or conditions. Any other use of the Contents on this Site including reproduction for purposes other than as noted above, and including any reproduction, modification, distribution, or republication may violate copyright or trademark laws, and, without the prior written permission of Aspect Realty & Associates, Inc., is strictly prohibited. ASPECT REALTY & ASSOCIATES, INC. IS PROVIDING THIS SITE AND ITS CONTENTS ON AN "AS IS" BASIS AND MAKES NO REPRESENTATIONS OR WARRANTIES OF ANY KIND, EITHER EXPRESS OR IMPLIED, INCLUDING, WITHOUT LIMITATION, WARRANTIES OR CONDITIONS OF TITLE OR IMPLIED WARRANTIES OF MERCHANTABILITY OR FITNESS FOR A PARTICULAR PURPOSE, AND NON-INFRINGEMENT. ALTHOUGH ASPECT REALTY & ASSOCIATES, INC. BELIEVES THE CONTENT TO BE ACCURATE, COMPLETE, AND CURRENT, ASPECT REALTY & ASSOCIATES, INC. DOES NOT REPRESENT OR WARRANT THAT THE INFORMATION ACCESSIBLE ON THIS SITE IS ACCURATE, COMPLETE, OR CURRENT. Price and availability information is subject to change without notice. IN NO EVENT SHALL ASPECT REALTY & ASSOCIATES, INC. BE LIABLE FOR SPECIAL, INDIRECT, EXEMPLARY, OR CONSEQUENTIAL DAMAGES OR ANY DAMAGES WHATSOEVER, INCLUDING BUT NOT LIMITED TO, LOSS OF USE, DATA, OR PROFITS, WITHOUT REGARD TO THE FORM OF ANY ACTION, INCLUDING BUT NOT LIMITED TO CONTRACT, NEGLIGENCE, OR OTHER TORTIOUS ACTIONS, ALL ARISING OUT OF OR IN CONNECTION WITH THE USE, COPYING, OR DISPLAY OF THE CONTENTS OF THIS SITE. In an effort to provide our customers with the most current information, Aspect Realty & Associates, Inc. will, from time to time, make changes in the Contents and in the products or services described on this Site. Prices and the availability of items are subject to change without notice. You agree that any material, information, and ideas that you transmit to this Site or otherwise provide to Aspect Realty & Associates, Inc. ("Transmissions") shall be and remain Aspect Realty & Associates, Inc. property. All Transmissions will be treated as non-confidential and non-proprietary and Aspect Realty & Associates, Inc. shall be under no obligation of any kind with respect to such information and shall be free to reproduce, use, disclose, and distribute the Transmissions to others without limitation. Additionally, Aspect Realty & Associates, Inc. shall be free to use any ideas, concepts, know-how, or techniques contained in such information for any purpose whatsoever including, but not limited to, developing, manufacturing, or marketing products incorporating such information. You further agree that Aspect Realty & Associates, Inc. may use information about your demographics and use of this Site in any manner that does not reveal your identity. You agree that Aspect Realty Associates, Inc. may contact you in any or all of the following ways: phone; fax; letter; text message; email; instant message; or any other form of communication provided in the Lead Form and/or Contact Us Page. NON-COMPETE: Buyer or Seller agrees that Buyer or Seller has not and is not actively working with County South Associates, Inc.
Any action brought regarding the use of this site and/or purchases made from this site, must be commenced in the General Courts of Justice of Mecklenburg County, North Carolina. By using this site, you irrevocably and unconditionally submit to the exclusive jurisdiction of such courts and agree to take any and all future action necessary to submit to the jurisdiction of such courts. You irrevocably waive any objection that you now have or hereafter irrevocably waive any objection that you now have or hereafter may have to the laying of venue of any suit, action or proceeding brought in any such court and further irrevocably waive any claim that any such suit, action or proceeding brought in any such court has been brought in an inconvenient forum. Final judgment against you in any such suit shall be conclusive and may be enforced in other jurisdictions by suit on the judgment, a certified or true copy of which shall be conclusive evidence of the fact and the amount of any liability of yours therein described, or by appropriate proceedings under any applicable treaty or otherwise.